The Fourth Judicial District Commission on Judicial Performance, by a vote of 7-0, recommends that Judge William Bain BE RETAINED. 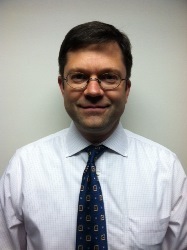 Judge William Bain was appointed to the District Court bench on January 1, 2011. Judge Bain received his undergraduate degree from Middlebury College in 1990 and his law degree from Cornell University in 1996. Before taking the bench as a District Judge, Judge Bain worked first as a Deputy District Attorney in the Fourth Judicial District (Colorado Springs and Teller County), and then as an Assistant Colorado Springs City Attorney. Judge Bain is a member of the Board of the El Paso County Bar Foundation and the current President of the Ben Wendelken Inn of Court, an organization devoted to civility and professionalism in the legal community. He has been on the Board of Court Care, which provides free day care for members of the public in the El Paso County Courthouse. Judge Bain is also involved in Teen Court and serves as a judge in local high school mock trial competitions. The Commission conducted a personal interview of Judge Bain, reviewed opinions he authored, observed him in Court and reviewed the results of surveys sent to both attorneys and non-attorneys, including jurors in cases handled by Judge Bain. Of all attorneys surveyed about retention, 89% recommended to retain, 7% not to retain, and 4% made no recommendation regarding retention. Among non-attorneys surveyed, 92% recommended to retain, 4% not to retain and 4% made no recommendation regarding retention. (These percentages may not total 100% due to rounding). Judge Bain handles criminal and civil cases. Judge Bain’s evaluation scores as graded by both attorneys and non-attorneys are above the average for all district judges up for retention. Judge Bain received particularly high marks in case management, communications and judicial demeanor. Although Judge Bain’s evaluation scores for neutrality in criminal cases were above-average, there was some concern expressed in the written comments received by the Commission regarding a perceived prosecution bias.